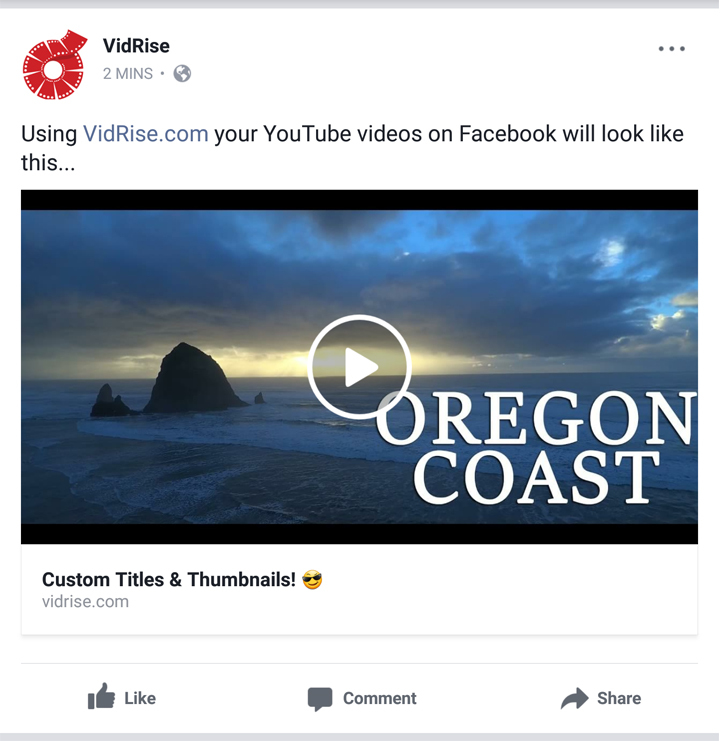 VidRise converts a YouTube URL into a large thumbnail link you share for a BIG, BEAUTIFUL, and ENGAGING social media post that will get the attention it deserves. Try our FREE Tool today! 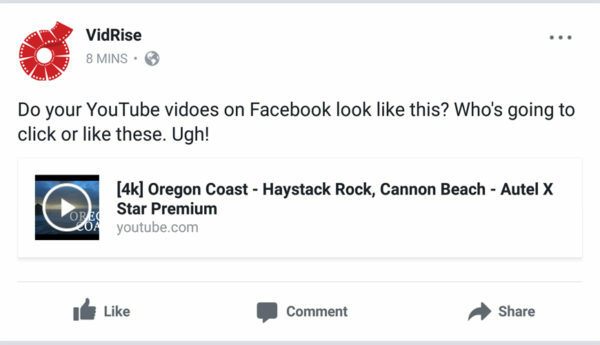 VidRise One of the fastest new YouTube Marketing Tools that’s sweeping YouTubers by storm. This FREE tool not only gives you bigger and better thumbnails on Facebook, it also helps create engagement. Everything we do is customer centric and VidRise is focused on providing you and your community (the followers clicking your links) with awesome service and a great experience. We are an organisation that processes over a million transactions a week, we want your shared links to always work so we’re not going to disappear and be offline for hours or days as you might expect from other hobby operations. We want your video to look the best it can on social media. We apply several algorithms behind to scenes to optimize your VidRise link for the nuances of social networks and to maximise exposure and reach. If you’ve invested in building your brand we want to nurture and allow you to grow that brand! We offer features like custom domains that allows you to leverage VidRise technology while ensuring your community interacts only with your brand. Learn more. Our service exists to help YouTubers achieve success and there are several initiatives being actively developed. We are not a static service and VidRise will continue to innovate and release new capability, so please let us know how we can help you achieve your goals. Connect with us!